Croissants are back, but they are not how you remember them. Thanks to Cuckoo Callay's epic Bacon MacDaddy dish and Textbook Boulangerie-Patisserie bakery, the humble flaky croissant is back with new flavours, toppings, and even stuffed with exciting surprises! 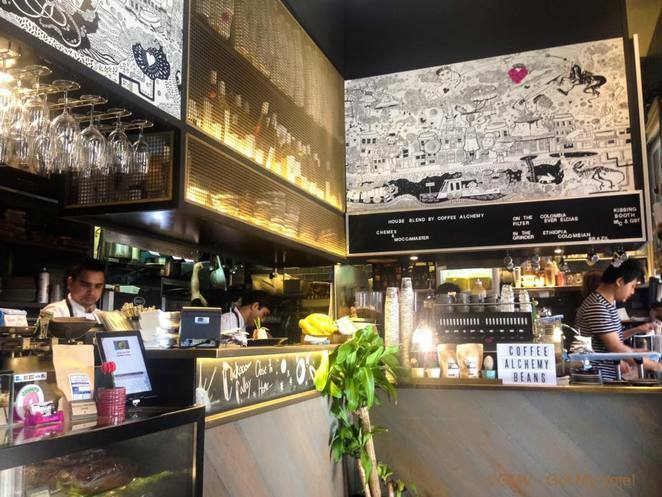 What is so special about Cuckoo Callay's Bacon MacDaddy that lures many hungry diners into Newtown? 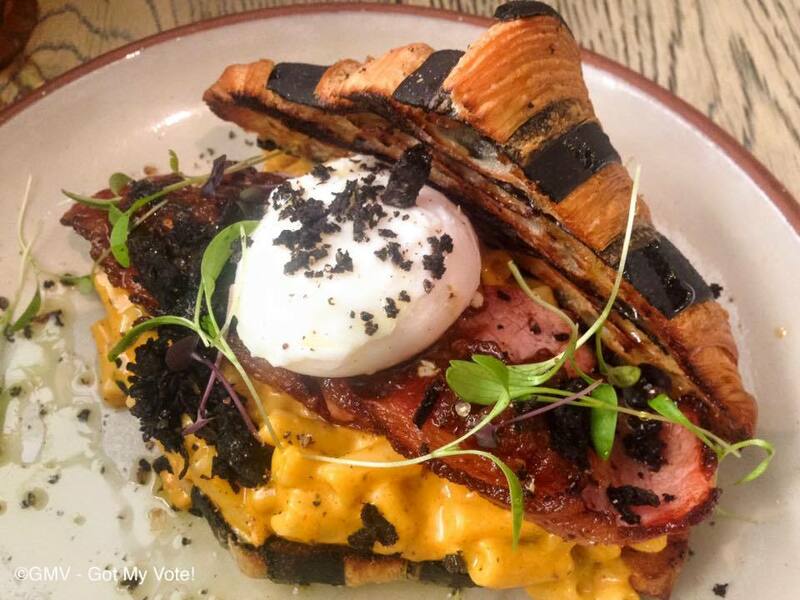 Just think a nice substantial breakfast dish serving double-smoked bacon, bacon mac'n'cheese, a poached egg, and tomato relish in a crispy toasted croissant. 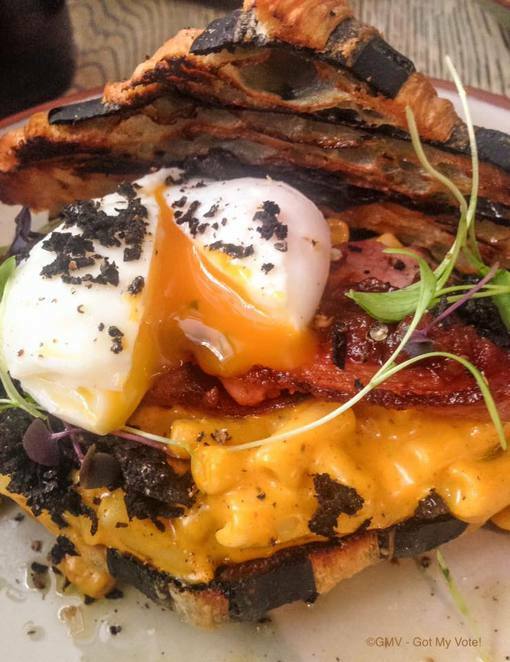 It is only natural that description pique your interest because Bacon MacDaddy probably stands as one of Newtown's most popular cafe dishes of the year! 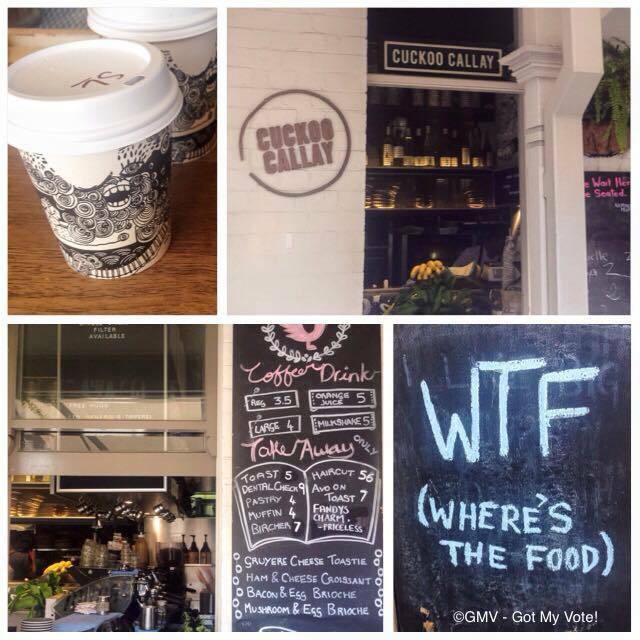 Cuckoo Callay is a chic cafe is located next to Newtown Train Station just as you enter or exit the station. Despite the convenient location, it is actually quite easy to walk past it by. 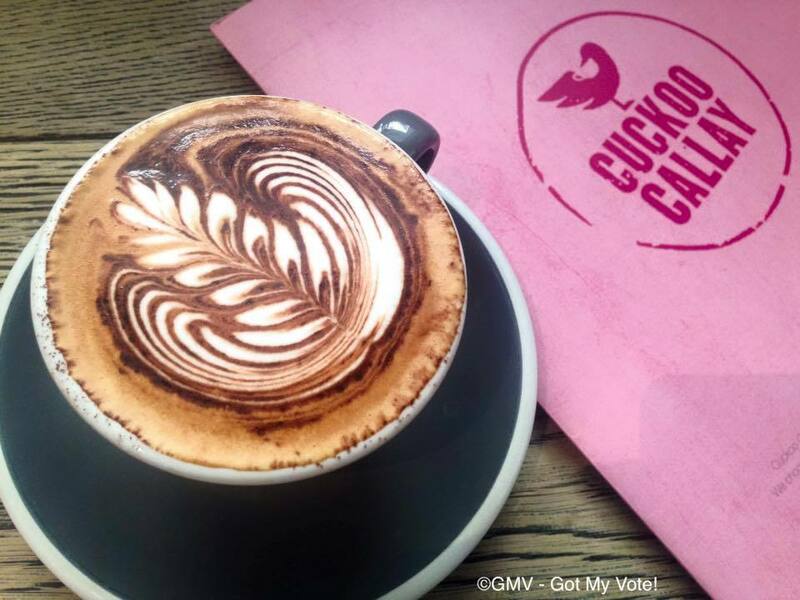 Cuckoo Callay has an interesting creative menu with eggs, so if you are not in a hurry, this is actually a great breakfast place to have some innovative cafe food. 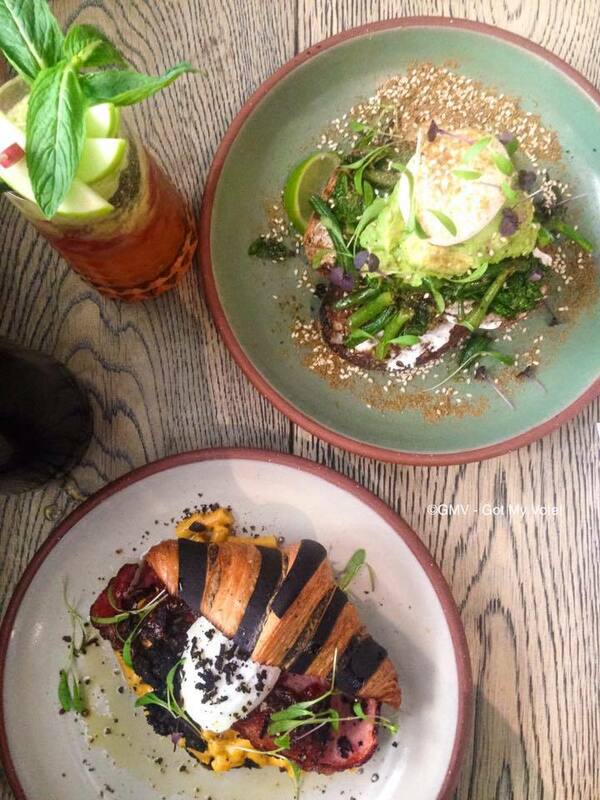 I was joined by my enthusiastic friend to try Cuckoo Callay's irregular Weekend Special 'All-day-Breakfast' meal on a gorgeous weekend. The cafe's outdoor setting looked inviting under the warm sun but we opted for a table inside. The interior looked quite quirky with pretty lights, mirrors, cushioned couches, an open kitchen and a glass cabinet full of delicious baked goods. The cafe emitted a buzzing, energetic vibe and we were well-looked after by friendly staff. Latte $4 The menu has an all day breakfast and lunch menu. No morning is complete without coffee and Cuckoo Callay's coffees are House blend by Alchemy with rotating single origins for black and filter coffee. If you want to try something new, you can ask one of the friendly baristas at the counter or check the board for featured single origins. The coffee art on my friend's latte was one of the nicest I've seen. My friend was pleased with her excellent and smooth drink. I was tossing up between the milkshakes and the juices and I was tempted by the description of The Love Affair drink. 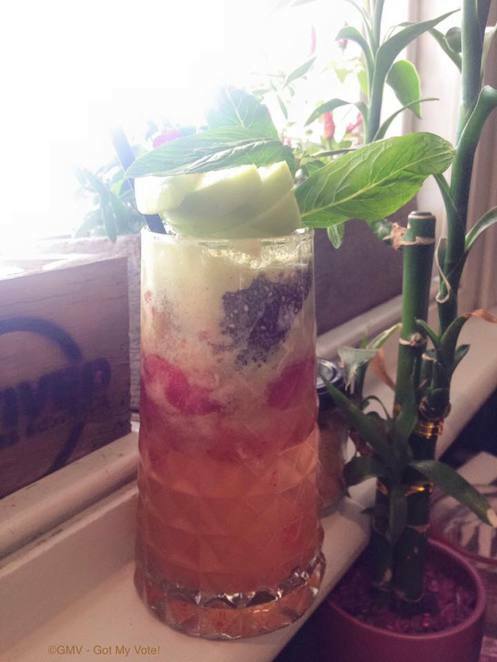 It was a refreshing morning drink with strawberry, rose water, apple, mint and chia seeds. This particular weekend, Cuckoo Callay offered a special variation to their smashing Bacon MacDaddy dish. They teamed up with Textbook Boulangerie-Patisserie bakery and created an incredible Truffle Bacon MacDaddy complete with a truffle-flavoured croissant. I must admit, the normal Bacon MacDaddy dimmed next to its glamorous twin. 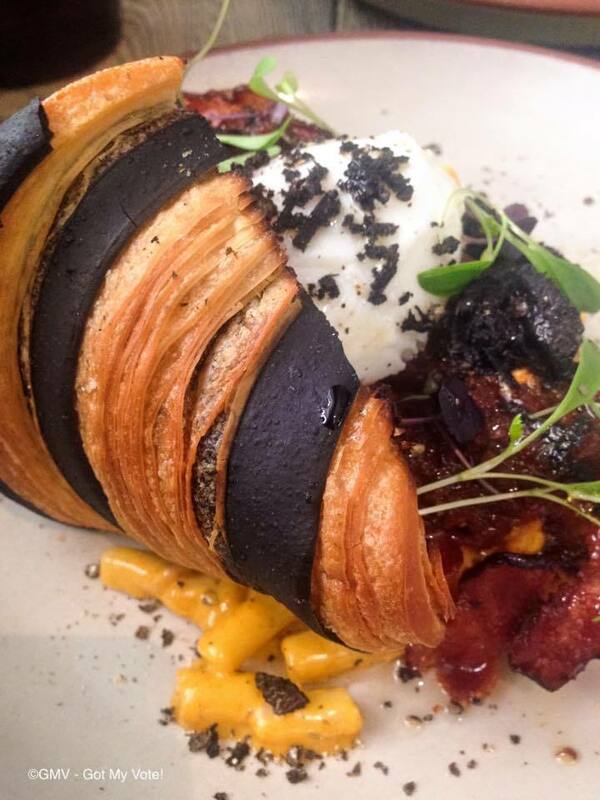 In addition to the crispy double smoked bacon, creamy bacon mac n cheese, a perfectly poached egg and tomato relish, the black truffle stripes on the toasted croissant certainly took the edge. Perhaps due to popularity and high demand, the black truffle 'shavings' on our dish looked more like truffle specks and certainly did not look like the one in the advertisement. It just happened I recently tried Gazebo's Truffle degustation menu, so I actually know what truffle shavings should look like. So paying additional $10 for sprinkle of Truffle specks was not value for money. Despite this, we thoroughly enjoyed this dish and polished the plate clean. Truffle Bacon Mac Daddy was a rich dish, so we decided to order a lighter option to balance it out. We went for the Green Eyed Monster because it was one of the lighter items on the menu. Plus it sounded green and nutritious with sauteed green beans, wilted broccolini & kale, fresh avocado, refreshing lime and a spicy chermoula dressing. There were two generous slices of sourdough toast smothered with creamy Arab labnah cheese spread, topped with a dukkah poached egg on sourdough. It was a good dish! 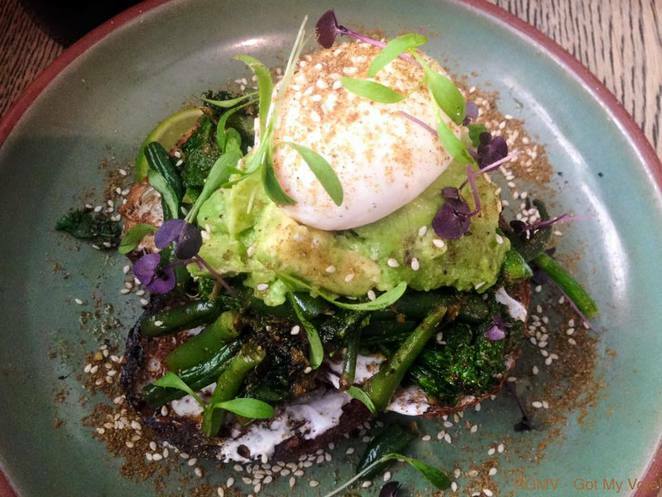 Overall, I think Cuckoo Callay may be the catalyst to transform common breakfast dishes into something that's exciting and satisfying. Their menu looks fabulous and the dishes possess flare and creativity. With the addition of weekend specials or events like the bacon festival, people will be keen to return to try fun, delicious dishes. 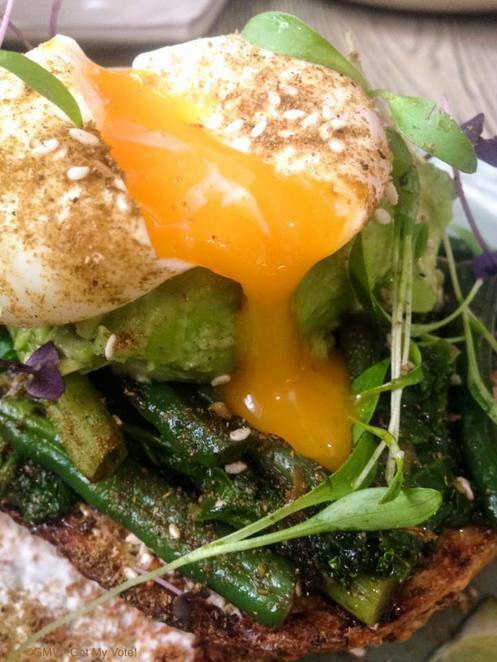 Breakfast is taking to the next level! The Love Affair looks refreshing. Very interesting and creative Menu, GMV!